Just when you despaired of ever getting enough behind the scenes info on fashion magazines and their editors, HBO has come to the rescue. On December 6th it debuts a new documentary, “In Vogue: The Editor’s Eye,” highlighting eight strong visionary women who have served as Vogue’s fashion editors. Hear the first words out of these women’s mouths and you know they are gifted and original creatures. One look at their work and you know they are artists in their own right. Watch a preview above of the documentary. 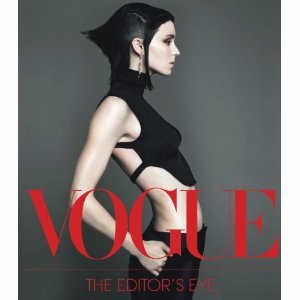 “In Vogue: The Editor’s Eye” was produced by Fenton Bailey and Randy Barbato. Mirroring the film, a hardcover book, published by Abrams, came out in October. It is a collection of some of the greatest fashion photography of all time including work by Richard Avedon, Irving Penn, Annie Leibovitz and more. Here’s wishing a Happy 120th Anniversary to Vogue. It certainly does not look its real age. And there’s more. 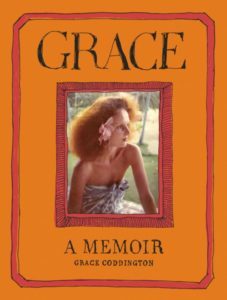 Vogue creative director Grace Coddington , who emerged as a star from the hit documentary “The September Issue,” has a frothy autobiography out. It’s called Grace: A Memoir (Random House). If a book can be both superficial and lovely at the same time, I guess this is it. Coddington, who was once called “the greatest living stylist,” started her career in fashion as a model during the Swinging Sixties. Unfortunately named “The Cod,” (just as Jean Shrimpton was called “The Shrimp”), the young model careened her way from Wales to London to Paris and St. Tropez. As we read Coddington’s history, we learn about Sassoon haircuts, panda eyes, and Mary Quant mini-dresses. Names like Twiggy, Veruschka, Catherine Deneuve, and Ali McGraw beckon to us from a past so ideal that it seems like a fantasy. Coddington soared through the Sixties but never lost her roots in fashion. With her long signature red hair, she is like some ethereal, fashion fairy godmother creating stories in the photo layouts of Vogue, and it is easy to see from this book how her current life took flight. Why do we care about these women, their jobs, and their memories? In the movie version of “The Devil Wears Prada,” the imperious fashion editor Amanda Priestly (unforgettably played by Meryl Streep) tells her young assistant that the clothes we wear are not just simply something fished out of the closet that morning. She explains that the cerulean blue sweater on her back is the end result of millions of dollars and millions more jobs in an industry where choices are made every day by people like her to affect each one of us. That is indeed why we care. Because without these arbiters whose eyes and souls create “the look” of the culture, the world would be (literally) a poorer place. Sue Podbielski is a writer, producer and community activist.